Do red cars really cost more to insure? Is Comprehensive coverage really comprehensive? Should you and your neighbor be paying the same amount for car insurance? Reality: Vehicle color is not a factor used to calculate car insurance rates. Factors that do matter are the year, make, model, body type, engine size and age of your car, as well as information about the drivers on your policy. Myth: I only need the state-required, minimum amount of car insurance. Reality: Many states have minimum car insurance requirements, but the required liability-only insurance may not cover all your costs. If you cause an accident, your insurance might not cover all the damages. Consult with your local independent agent to select the coverages and sufficient limits that meet your needs so that a fender bender doesn’t cost you big bucks. Myth: Comprehensive coverage protects drivers in all situations. Reality: Comprehensive coverage is one type of protection available on an auto insurance policy (others being Collision, Uninsured Motorist, etc.). Comprehensive coverage pays only for damage caused by an event other than a collision, including fire, theft, vandalism, weather and more. Myth: My car insurance rates will be similar to my neighbor’s rates. 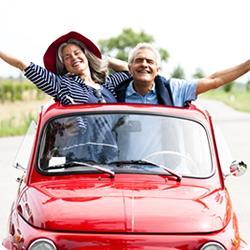 Reality: Car insurance rates are individually determined, so factors such as age, driving record, type of vehicle, and marital status are considered. Each person’s situation is unique and car insurance rates will vary because of this. Myth: If I buy a new car, my auto insurance company automatically knows and my new car is covered. For more information, call Chris Harrison at 406.922.5110 or fill out our get a quote form.